There has been an ever growing understanding of corneal biomechanics or it’s integrity. Certain corneas are inherently prone to be weaker and these corneas when coupled with refractive correction and a strengthening process augers for its long term safety. Towards this end, certain thin corneas, higher refractive errors, hyperopia corrections and suspicious topographies could be coupled with PRK extra when surface ablation option is sought or LASIK Extra if a flap is being raised. 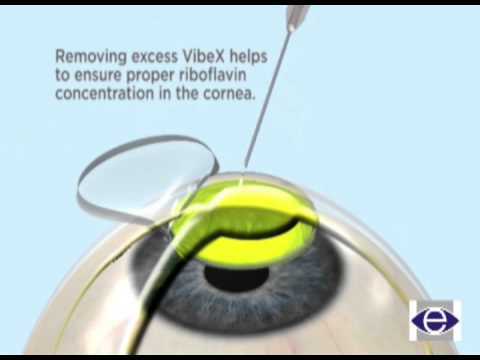 These corneas are soaked with Riboflavin or Vibex extra for 60 seconds and then exposed to ultraviolet light at 30 mw/ cm2 for 60 seconds which brings about increased corneal cross linkage with greater bio mechanical stability of the cornea.